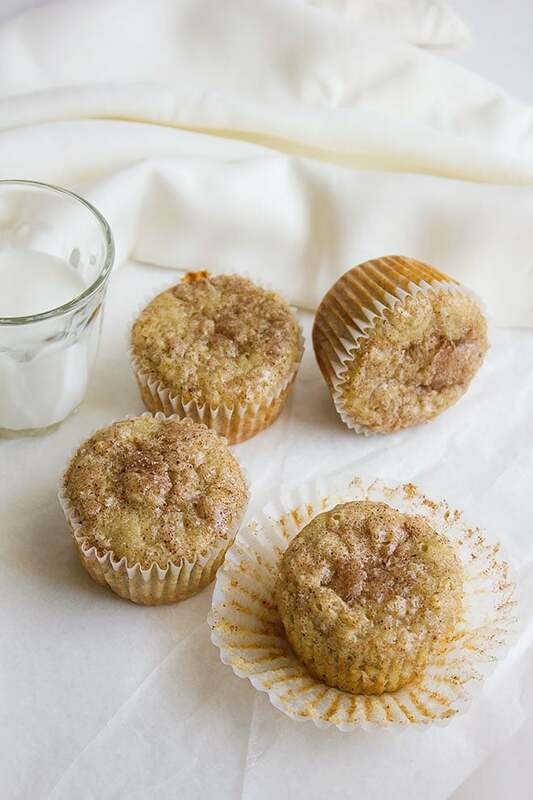 I like to make life easy for you, so this recipe will allow you to enjoy these Snickerdoodle Banana Muffins for a longer time. 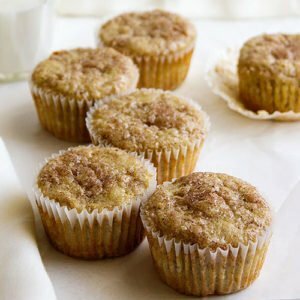 There is no hard work in making these muffins at all, the mixing and baking hardly take 30 minutes and you’re ready to enjoy it. I asked my sisters (My virtual assistances if I may call them that!) Which spice go well with bananas? They both agreed that it must be cinnamon. I was thinking more of cardamom and nutmeg but I guess cinnamon can give it that kick. 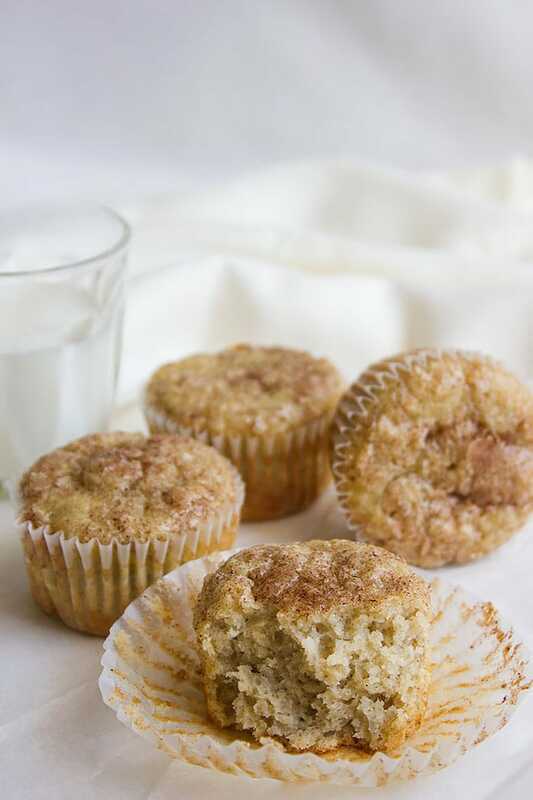 Snickerdoodle Banana Muffins are great for breakfast or even as a snack. 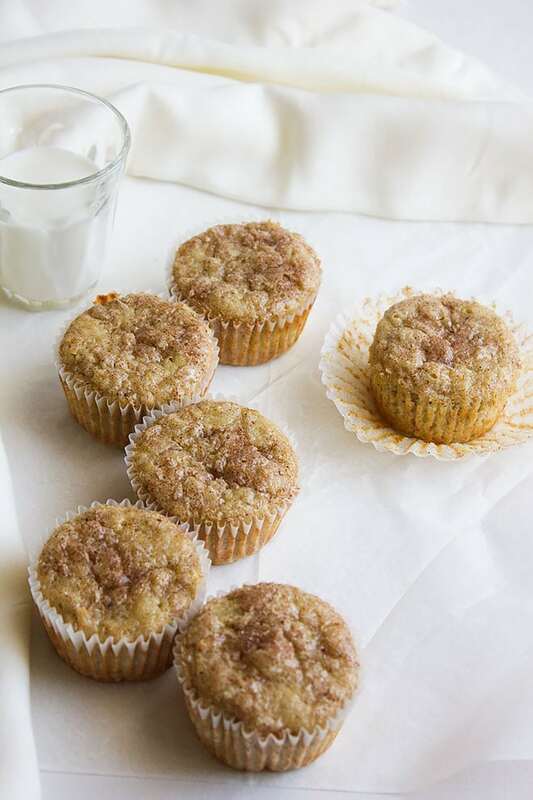 I would suggest you cut the muffin in half and spread a thin layer of butter on one-half, maybe spread jam on the other half, and please do not forget that big glass of chilled milk. 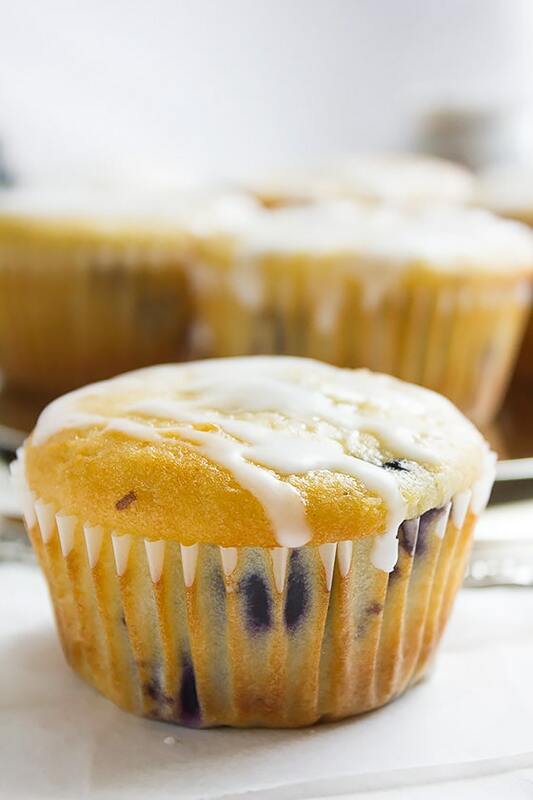 When the muffins are completely cool, place them in a Ziploc bag. Try to take out as much air possible from the bag, seal, and place in the freezer. 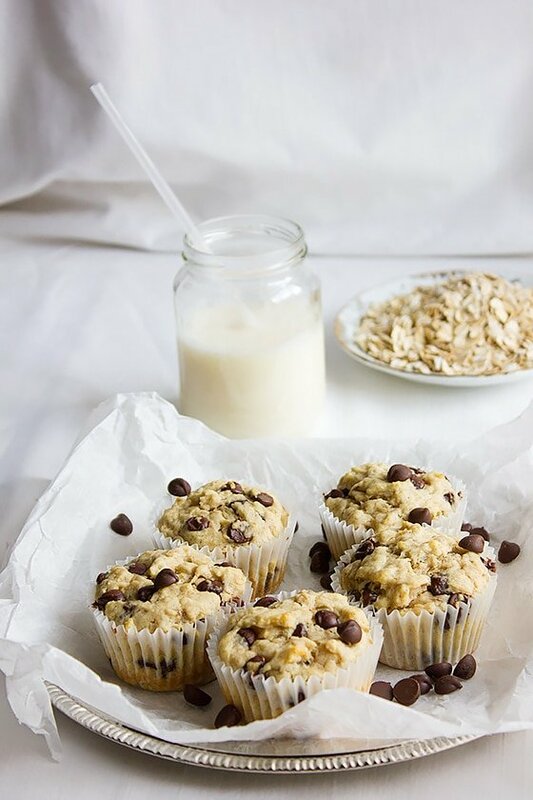 These muffins will keep well for up to 2 months. 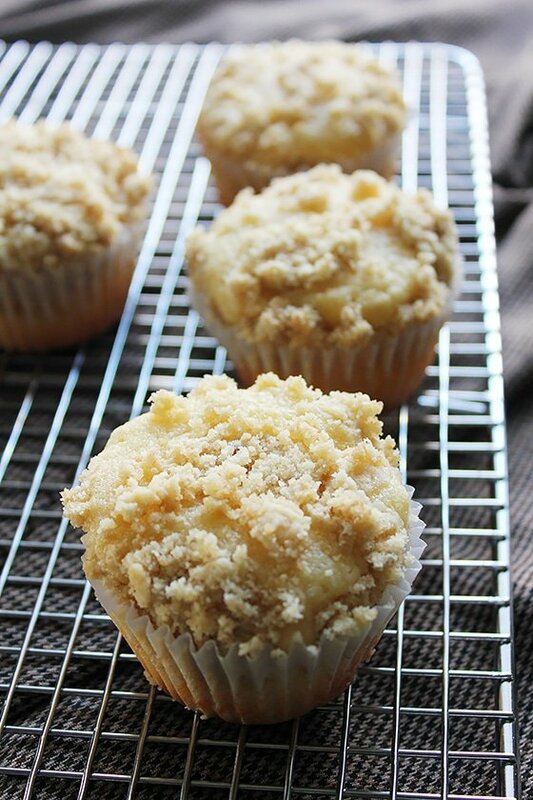 To have a muffin, place it on the kitchen counter to thaw completely. 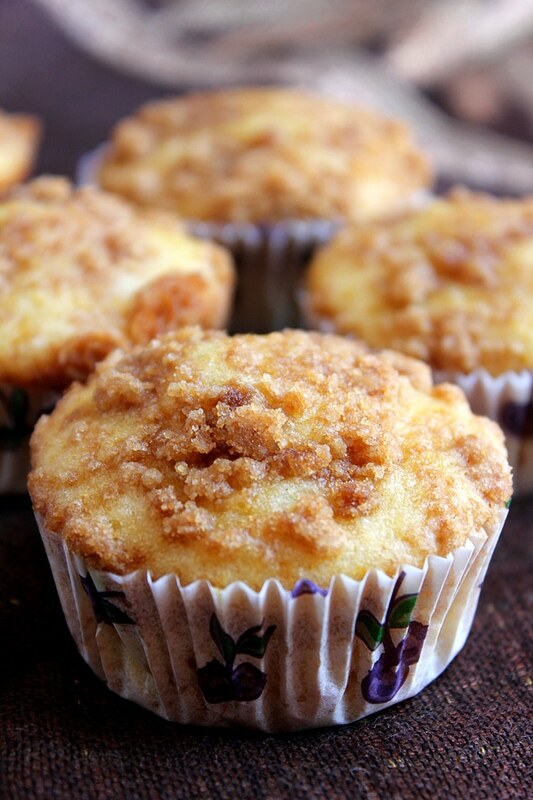 If you like the muffin a little warm, after thawing, microwave for 10 seconds and enjoy. 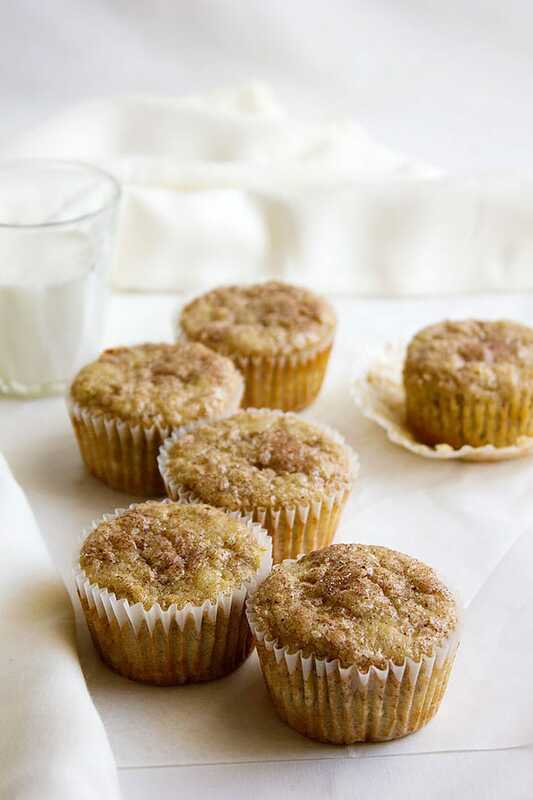 You will notice from the instructions of making Snickerdoodle Banana Muffins, that it is quick and the ingredients are easily available in any kitchen, so why not make some muffins today? Oh, and kindly follow me on Pinterest! Preheat oven to 350F/180C. Line the muffin pan with muffin liners and keep aside. 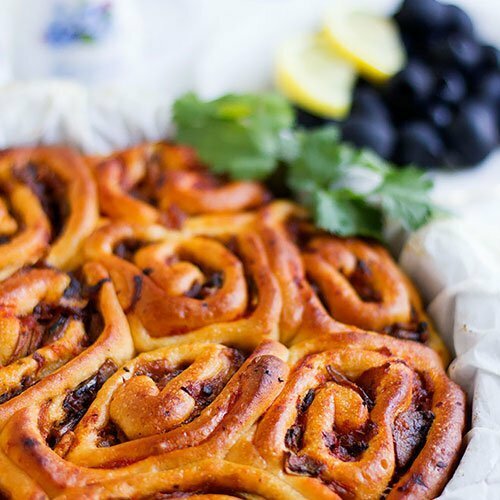 In a bowl, sift the flour, baking powder, baking soda, salt, and cinnamon, keep aside. In another bowl, add the ripe bananas and mash using a fork. Add the egg, vanilla, sugar, butter, oil, milk, and whisk well for at least two minutes. 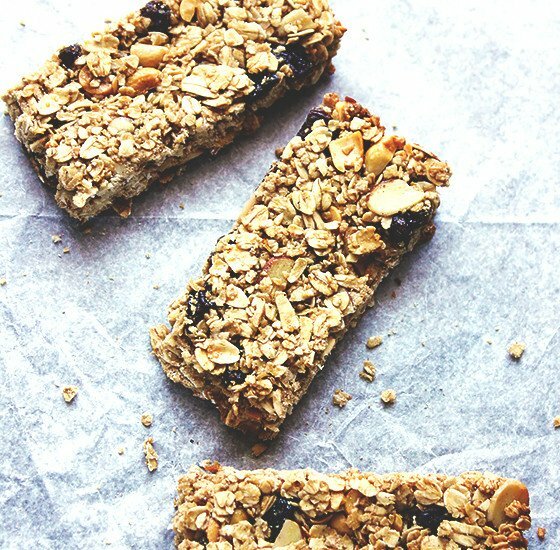 Add the dry ingredients to the wet and mix gently until combined. Pour the batter into the previously prepared liners. This batter makes 6 large muffins or 9 medium size muffins. 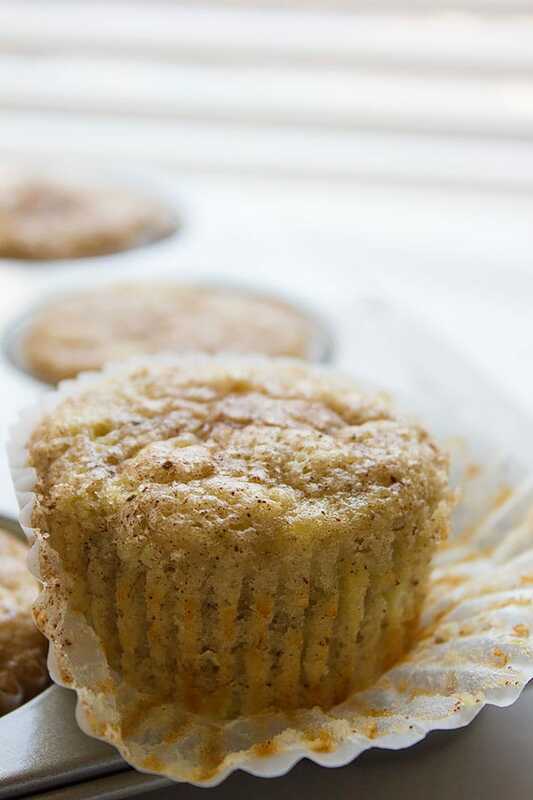 Mix the topping ingredients together and sprinkle over the muffins (you don’t have to use the whole toppings on the muffins). Bake in the preheated oven for 25 minutes, or until a toothpick inserted in the middle comes out clean. They are very tender and soft!